Ali Kulture is back with a bang with season 2 of his #FridayKulture series with DesiHipHop.com! 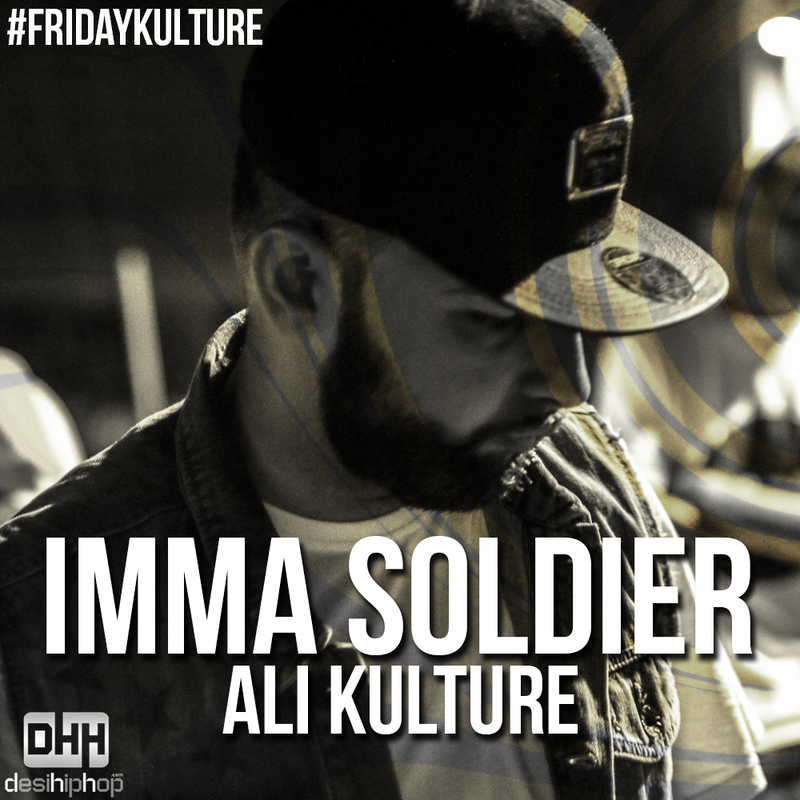 In this week’s #FridayKulture, Ali Kulture dropped “Imma Soldier”. Like most of Ali Kulture‘s music, this one was produced by Espee. Ali Kulture also had a dope flow to the song as he expressed himself throughout the piece. Check it out above, and also check out the other tracks in the #FridayKulture series. This has become a sort of routine habit for me to post a new Ali Kulture track once a week, and I enjoy doing this just because the songs that come out are so enjoyable to listen to. Btw, FridayKulture Vol 1 is coming soon on itunes, spotify, apple music, and everywhere you can think of!